We recently launched our Fitness-Mad Balance Pod Domes! They come as a pair and can offer an extra challenge to your workout. Emma Cuadrado takes us through some moves you can add to your exercise routine with these nifty, little accessories. A great hamstring and glute workout. 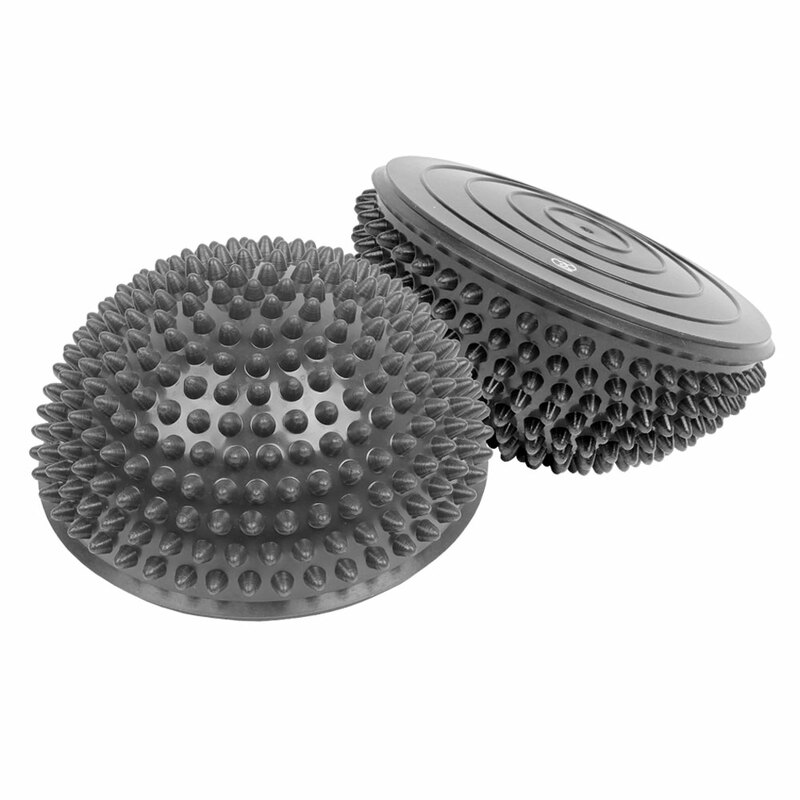 Laying down, place both balance domes (smooth side up) under the feet, keeping the heals off. Push up into the bridge making sure that your feet and legs are in a parallel position (knees in line with the feet) when you are in a stable position - arms can be placed either side of the body for a more stable position. From there you can add pulsing or even hold the position. By pushing through the toes and keeping the glutes and hamstring engaged. You will feel the burn. Place the flat side of the dome underneath the back foot, with the back heal high. Hold this position with the front knee tracking over the front ankle and back knee under the back hip. Lower the body placing more pressure through the front heal. This will activate the front hamstring (back of leg) and glute. By placing the smooth side of the dome underneath the elbow and push up into a side plank, keeping the hips square to the front. 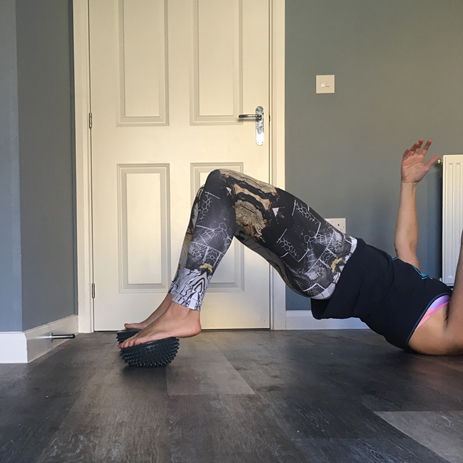 Engaging the core and glute muscles, keeping the shoulder away from your ear and pushing the lower hip up to the ceiling . 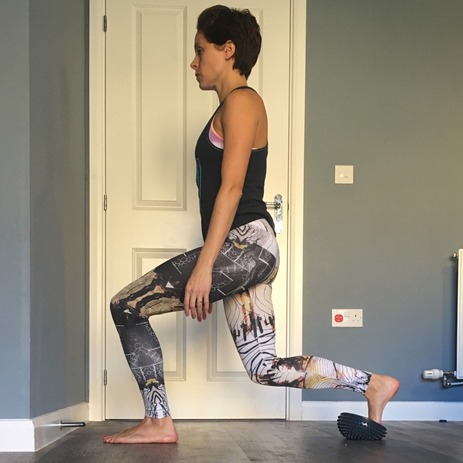 This exercise can be modified by placing the lower knee on the floor. This will add extra resistance to an already tricky exercise.